You will find below the horoscope of Annalise Braakensiek with her interactive chart, an excerpt of her astrological portrait and her planetary dominants. If you know the time of birth of Annalise Braakensiek, we would appreciate it if you would send us your information with your source, at stars@astrotheme.com. To thank you for contributing to the enhancement of our astrological database, we shall be glad to send you the astrological portrait (34 pages) of this celebrity. Horoscopes having the same aspect Moon square Uranus (orb 0°01'): Justin Bieber, Carl Jung, David Beckham, Katie Holmes, Mike Tyson, Bhagwan Shree Osho Rajneesh, Charlène, Princess of Monaco, Vin Diesel, Kesha (singer), Keith Richards, Oscar Wilde, Arnaud Montebourg... Find all the celebrities having this aspect. Horoscopes having the same aspect Sun opposite Saturn (orb 0°02'): Shakira, Emmanuelle Béart, Bradley Cooper, Brigitte Macron, Miranda Kerr, Michel Sardou, Rudolf Steiner, Ivana Trump, Thierry Le Luron, Didier Deschamps, Christina Applegate, Patrick Dewaere... Find all the celebrities having this aspect. Celebrities clicked on in real-time: 576,306,963 times. Annalise Braakensiek (9 December 1972 – c. 6 January 2019) was an Australian model, actress, television presenter, businesswoman and activist. Braakensiek married stockbroker Danny Goldberg in 2002. The couple separated in 2018. A friend who had known Braakensiek since the early 1990s said there was a side to her that was "just a sadness". He said that Braakensiek took her marriage breakup very hard and felt she had failed; it had plunged her into a dark place. Braakensiek was found dead in her Potts Point apartment, which she had bought in 2018, on 6 January 2019, after friends and family had not heard from her for several days. Police said there were no suspicious circumstances. On 16 January 2019, a memorial service for Braakensiek was held at Bondi Beach at 6 am. The service was attended by hundreds of people, including her mother, her brother and sister, her estranged husband Danny Goldberg and other family and friends. Here are some character traits from Annalise Braakensiek's birth chart. This description is far from being comprehensive but it can shed light on his/her personality, which is still interesting for professional astrologers or astrology lovers. 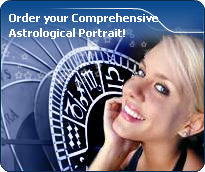 In a matter of minutes, you can get at your email address your astrological portrait (approximately 32 pages), a much more comprehensive report than this portrait of Annalise Braakensiek. Warning: when the birth time is unknown, which is the case for Annalise Braakensiek, a few paragraphs become irrelevant; distributions in hemispheres and quadrants are meaningless, so are dominant houses and houses' accentuations. Therefore, some chapters are removed from this part. The predominance of Water signs indicates high sensitivity and elevation through feelings, Annalise Braakensiek. Your heart and your emotions are your driving forces, and you can't do anything on Earth if you don't feel a strong affective charge (as a matter of fact, the word "feeling" is essential in your psychology). You need to love in order to understand, and to feel in order to take action, to the detriment of a certain vulnerability against which you should learn to fight. Like the majority of Earth signs, Annalise Braakensiek, you are efficient, concrete and not too emotional. What matters to you is what you see: you judge the tree by its fruits. Your ideas keep changing, words disappear, but actions and their consequences are visible and remain. Express your sensitivity, even if it means revealing your vulnerability. Emotions, energy and communication must not be neglected; concrete action is meaningless if it is not justified by your heart, your intellect or your enthusiasm. Annalise Braakensiek, the Cardinal mode is dominant here and indicates a predisposition to action, and more exactly, to impulsion and to undertake: you are very keen to implement the plans you have in mind, to get things going and to create them. This is the most important aspect that inspires enthusiasm and adrenalin in you, without which you can grow weary rapidly. You are individualistic (maybe too much?) and assertive. You let others strengthen and improve the constructions which you built with fervour. After this paragraph about dominant planets, of Annalise Braakensiek, here are the character traits that you must read more carefully than the previous texts since they are very specific: the texts about dominant planets only give background information about the personality and remain quite general: they emphasize or, on the contrary, mitigate different particularities or facets of a personality. A human being is a complex whole and only bodies of texts can attempt to successfully figure out all the finer points. Your sensitivity is withdrawn, Annalise Braakensiek: more than anyone, you tend to lock yourself in your ivory tower, as you are aware of a kind of superiority that may be real, though overrated. Your moods are not perceptible because you control them with a tight fist. It is difficult to know if you are happy or upset because you show nothing. You avoid situations which compel you to reveal your emotions because you are not demonstrative. Please, be aware that it is not your amorous behaviour that is being analyzed, but the daily expression of your sensitivity. You dread the crowd and you need calm, and even solitude, to feel comfortable. You are well-equipped to remain balanced in all circumstances, but it may prove beneficial if you progressively take a relaxed attitude and show more dedication, as you are worth it; it is easier for you to exteriorize your feelings when your projects or your ambitions justify that you do so. You do not practice gratuitous outpourings, particularly when your are with a group, because you are afraid to open up, as if you were on the defensive, without any reason most of the times. You are the very type of the researcher endowed with great intellectual and imaginative capacities, Annalise Braakensiek, and your curiosity is very deep. Researches, riddles and mysteries appeal to you and with a remarkable sixth sense and intuition, you endlessly try to unearth the truth, in all areas, like a psychoanalyst or a detective. You are a very secretive and introverted person, you find it difficult to open up and you rather prefer psychoanalysis. In spite of your clear-sightedness, you find it hard to deal with people: your critical mind, tinted with irony and causticity, may be destructive, especially since your determination and your stubbornness do not incline you to giving up. You are fond of provocations and you handle contradictions skilfully even though you may come across as dishonest. You cannot dissociate love from passion, Annalise Braakensiek. Your feelings are immediate, imperious, intense, and it is absolutely impossible for you to think of an amorous relationship without fusion, without the irresistible desire to know everything about your partner: emotions, feelings, sexuality, everything must be experienced in a possessive, absolute and unrestricted way. Actually, your feelings are as complex as they are deep. You seldom love, but when you do, a burning ardour and its torrid, violent frolics consume your couple. It is obvious that such powerful feelings may lead to jealousy and absolute exclusivity, almost bordering on the will to control your partner. If your relationship is genuine, all is fine. But if it is not the case, there are real dangers of shared wounds within your couple; it is hard to reconcile passion with tranquillity and it is clear that for you, sentimental serenity involves a partner who is either as complex as you and who instinctively understands you, or who is complementary, and as calm and steady as your impulses are intense and deep. Your iron will is part of your assets, Annalise Braakensiek. It is supported by an ingenuity and a skilfulness that may turn you into a mighty and feared personality. You have the knack of spotting weaknesses in persons you deal with and you can easily hurt them with your innate propensity to drill or to test their force. You are extremely stubborn and you never let go when you are convinced that you are right. Sexually, you are potent and passionate. You are domineering and secretive, with a magnetic personality. It is safer to avoid being taken in a conflict with you because you may be very aggressive and you bear grudges. In some cases, you may also be sadistic. Your personality is as secretive as it is domineering in the areas of action and sexuality. This text is only an excerpt from of Annalise Braakensiek's portrait. We hope that it will arouse your curiosity, and that it will prompt you to deepen your knowledge of astrology, as well as to visit and use the wide range of free applications at www.astrotheme.com. Your Life Path is influenced by the number 4, Annalise, and your destiny implies sustained efforts, long-drawn-out works, and concrete achievements. The path may seem a bit tedious, but it is very promising, provided that you demonstrate some tenacity, loyalty, and patience. You are often invited to display orderly and methodical qualities, and step-by-step, you go through all the stages which may lead you to success, if you do not let hurdles dishearten you throughout your life. Persistence is among your major qualities. You see life as a challenge, and, far from falling into the trap of picking the easy way out, you face problems with calm and lucidity, and you choose the work and steady effort which open the door to success, although evolution requires quite a long time. Your personal path is based on continuous efforts and on maintaining the same immutable direction.